Salsa Nights Nuremberg. 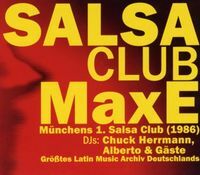 - Several salsa clubs in Nuremberg invite to a regular salsa party with DJ. Salsa Nights Nuremberg. - Parties with DJ in salsa clubs are on different days of the week. 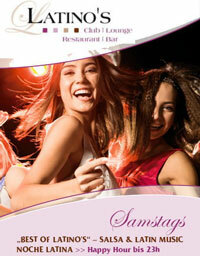 For salsa schedule and a location map see Nuremberg Salsa Parties in Salsa Clubs in Nuremberg. All dance clubs and other venues with regular salsa party dates in Nuremberg and the surrounding area are listed under Nuremberg Salsa Clubs - Salsa Parties in Central Franconia. Salsa Nights Nuremberg. - Pics of salsa nights in salsa clubs in Nuremberg can be viewed in the Nuremberg Salsa Photo Gallery under Salsa Nuremberg Images Gallery: Nuremberg Salsa Photos. Salsa Nights Nuremberg. - The newsletter with current and detailed information about salsa events in Nuremberg and Bavaria is already received by over 5000 salsa friends for free. Join the mailing list now.